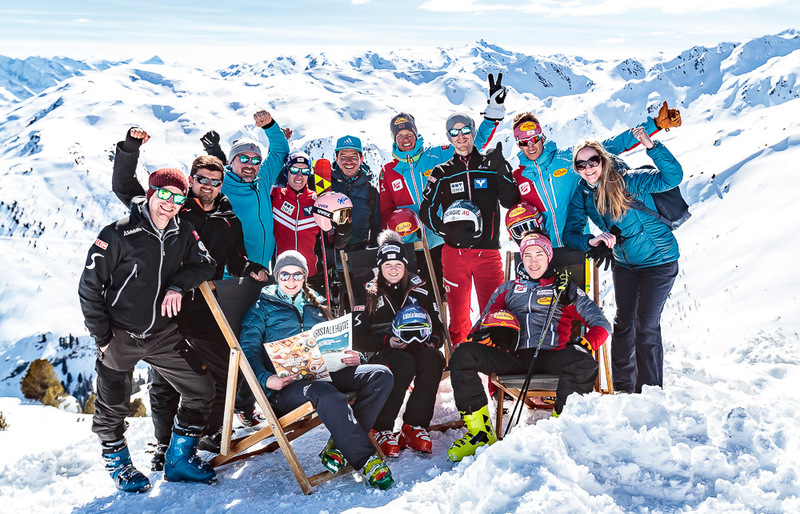 At the end of the winter season we traditionally invite a small group of friends and partners of the JumpandReach-family to our annual skiing day in the ski area Hochzillertal/Kaltenbach. The weather was dreamlike and the slope conditions were still amazing, so we all enjoyed a beautiful skiing day. This year all of our JumpandReach-athletes were part of the skiing day and Stefan Kraft, Michael Hayböck, Mario Seidl, Lis Raudaschl, Christian Deuschl and Dominik Terzer were happy to go skiing after a tough season were they had no time to do so. Beside the slopes we enjoyed “Kaiserschmarrn” and other gastronomic specialities at the Kristallhütte. Of course we used this great day to soak up a lot of sun too. At the bottom line it once again was a great way to end the winter season. Just like the JumpandReach-spirit, the focus was on fun and doing sports together. A big thank you goes out to Martha and Maximilian Schultz (who guided us through the skiing area) and to the Bergbahnen Hochzillertal for the great hospitality.